Romance in Grecotel is beyond compare: in magnificent Greek locations, luxurious details create fairytale hotel weddings and honeymoons, each as exceptional as the couple living it. And, from organising a beach wedding to making a petal strewn honeymoon bed, from serving an extravagant dinner to throwing a Greek meze party by the beach, each Grecotel hotel is the ideal wedding venue in Greece: with their superb cuisine, beautiful settings and meticulous, personalised service, each has everything required to make the whole experience unique. At Grecotel, your wedding ceremony in Greece will be amazing: whether you are planning a religious or civil ceremony or the renewal of your vows, the teams at Grecotel’s wedding hotels in Greece, will make sure everything is exactly like you dreamt it! 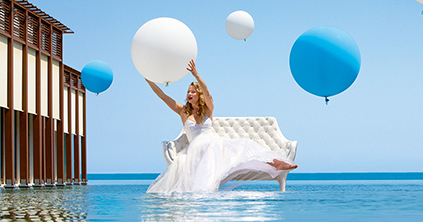 At Grecotel Hotels and Resorts, the most idyllic settings will be hosting your wedding in Greece: from mythical Crete, to majestic Corfu, to landmark Sounio, to dazzling Peloponnese, the wedding venue of your dreams is waiting for your most romantic “I dos”! From fireworks to live music to rose petal strewn aisles, Grecotel offers a wide range of options and services to help you create your perfect wedding in Greece. Choose from an endless variety of elements and compose your very own, personal sweet melody of a wedding! No wedding is complete without its celebration: whether you are dreaming of a grandiose wedding reception, a wedding morning brunch or a casual chic beach party, at Grecotel you will find the perfect celebration for your wedding day! 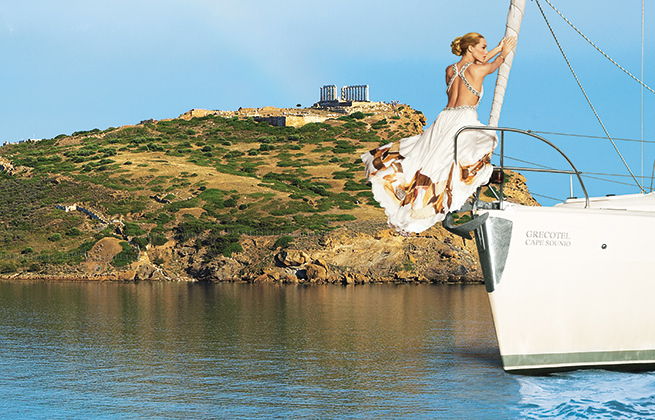 For years, Cape Sounio has been the ‘in’ place for top-notch Athenian weddings. 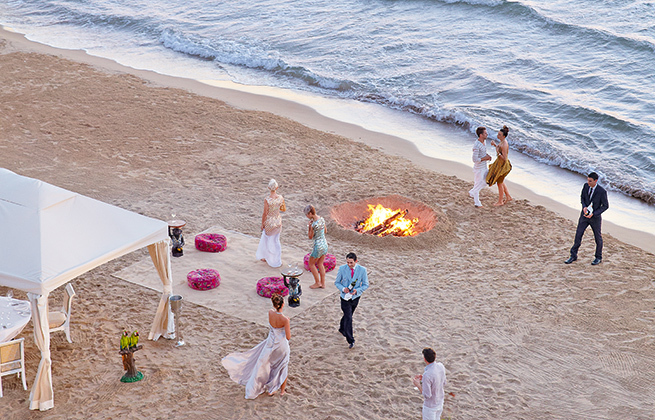 Exchange your vows on the sandy beach with majestic views of the famous Temple of Poseidon. Within easy distance from Athens airport and the harbours to the Greek islands, it’s easy for friends and family to fly in for a wedding at Cape Sounio and jet off for an island honeymoon. From simply the happy couple to the whole family in attendance, the choice is yours! So just choose the date and leave the rest to us! Amirandes: the answer to your dreams. Sun-kissed beaches, private pool patios, award-winning restaurants and even a private Greek Orthodox chapel are just a few of Amirandes’ options for weddings in Crete. Just a few minutes in your private limo from Heraklion airport and you arrive at Amirandes. With an amazing array of accommodation – many with private pools – you’ll never want to leave! Book now and leave the rest to us! Corfu has been under various rules including Venetian, British and French and today there are still churches for most denominations. Imagine the sun setting over the calm Ionian Sea, the gentle breeze sings a lullaby in the cypress and olive trees as you exchange your vows. Arrange a wedding for 2 to 500 as only guests at Corfu Imperial can have their reception at the private Danilia Village – a museum to Ionian life. Mykonos – the idyllic island that can be a quiet retreat or day-long party. Be whisked from Mykonos airport in a private car to the seclusion of Mykonos Blu. Whether you choose an Island Bungalow or a magnificent Mykonos villa, every minute will be sheer heaven. Civil ceremonies are arranged in Hora town before partying the night away on Psarou beach. 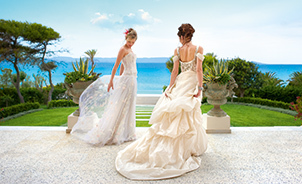 There’s simply no limit to glamorous, romantic weddings at the Grecotel Olympia Riviera Resort in the Peloponnese. Exchange your vows under a flower-decked beach gazebo or with the backdrop of the resort chapel. The Olympia Equestrian Centre is on-hand for those who want to arrive by carriage or on horseback. With three hotels, there’s just the right accommodation for everyone but don’t miss the chance to sample a Mandola Rosa villa for your honeymoon! On the longest sandy beach in Crete, the new Caramel Boutique Resort is just the place for romantic weddings and honeymoons. The confetti pool with pastel-coloured lights is perfect for evening weddings but bare-foot brides will feel at their happiest on the beach. For those looking for a real Cretan wedding, it can all be arranged at our Agreco Farm. Exchange your vows in the fragrant, green gardens with the cicadas singing the wedding march! 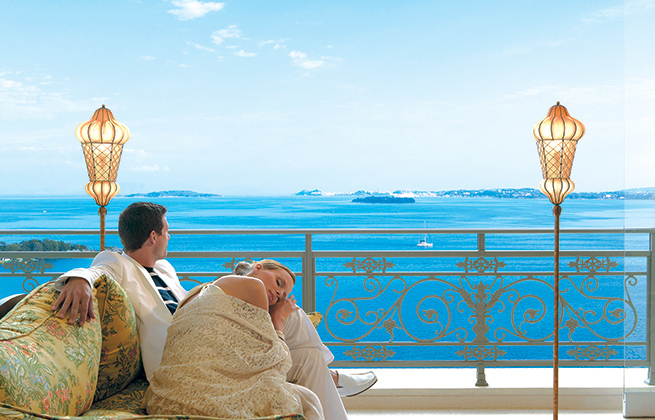 Eva Palace is a favourite for couples exchanging or renewing their vows in the gentle Corfiot climate. Delicious food, a rooftop spa and quiet atmosphere add up to memories for a lifetime. Larger wedding celebrations can be held at the neighbouring Corfu Imperial or private Danilia Village. Planning a second wedding with the kids coming too? 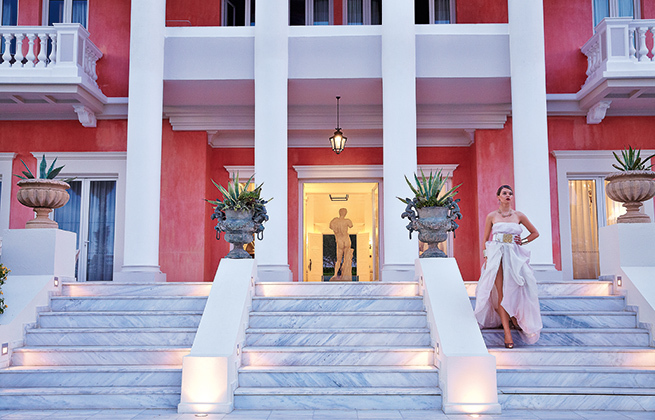 Then the Creta Palace fits the bill as it has great kids’ facilities so that the newlyweds can have some private time! For couples, there are plenty of relaxing areas from the long sandy beach to the Elixir Spa. Civil weddings are held on the beach and orthodox weddings in the Virgin Mary Chapel. For a real Cretan village-style wedding, our Agreco Farm (3kms) is the only place to be. A fairytale setting in a traditional farm estate on a hillside overlooking the Cretan Sea. Happy couples can choose the entire wedding & reception to be held at the Agreco Farm or combine it with the facilities at the five luxurious Grecotel beach hotels in Rethymno. The organic food is only matched by the view over vineyards and olive groves to the sea and the Cretan sunset.